As you age, you may notice sagging skin on your brow and forehead region. The main purpose of a brow lift procedure is to lift drooping eyebrows and the surrounding skin, helping to achieve a more youthful and alert appearance. If you are uncomfortable with the signs of aging that are affecting your brow, a brow lift procedure with Tulsa plastic surgeon Dr. Kent can help restore a refreshed and rejuvenated look. A brow lift may be for you if the skin on your forehead region is beginning to sag. Most patients who are candidates for this procedure have “lateral hooding” or excess skin crowding the outside part of their upper eyelids. If sagging eyebrow and forehead are the cause of this problem, then a brow lift will correct it. Also, during your brow lift, the muscles responsible for frown lines in the central lower forehead above the nose are divided to render them nonfunctional. Discuss your goals, health and medical history with Dr. Kent during your consultation in Tulsa to see if you’re a good fit for this procedure. To begin your brow lift, an incision is made behind the hairline across the scalp. Sometimes the incision will be placed in the hairline centrally if a high forehead is present preoperatively. The forehead and eyebrow areas are then released from their attachments and the muscles responsible for frown lines are altered. The forehead is then pulled back, the excess skin removed, and the incisions closed. Often, a small drain (plastic tube) is placed, which is removed the next day by Dr. Kent. The scalp is wrapped in gauze dressing with the face exposed. What is the Recovery Process for a Brow Lift Like? The dressings and drain are removed on the first post-operative day, after which you can gently wash your hair. Staples and sutures are removed from 7 to 10 days after surgery. There can be swelling and bruising around the eyes for the first 10-14 days. You can expect numbness of the scalp behind the incision for several months, but this is well tolerated by the vast majority of patients. You’ll need to avoid activities such as heavy lifting and intense exercise for a few weeks. You should be able to return to work within 10 days. When Will You Notice the Results of Your Brow Lift? Given the nature of this procedure, results should be immediately noticeable, although bruising and swelling will be apparent at first. Speak with Dr. Kent in Tulsa about your expectations for a full recovery to ensure the timeline matches your needs. Having earned a medical degree with honors and being in practice since the 1980s, he has plenty of relevant knowledge and experience, and is able to answer any questions you may have. 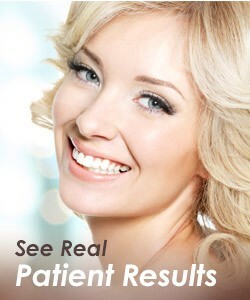 To schedule a complimentary consultation with our experienced plastic surgeon, call (918) 994-4100 or contact us online.